Magdalene juice is packed in the bag-in-box system (airtight polymer bag with a tap), with a capacity of 3l. It allows to keep the product fresh after opening for 14 days and 8 months lifeshelf. 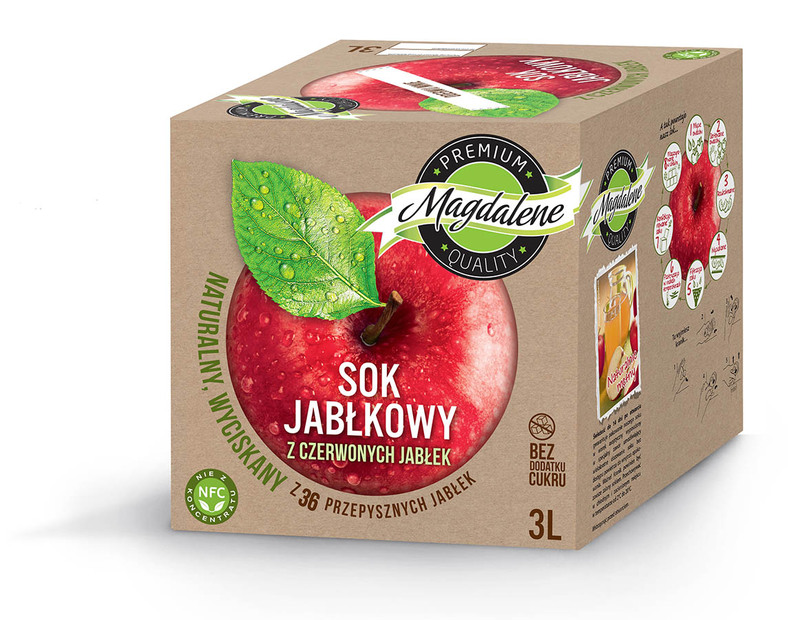 Magdalene juice offers two product variants of 100% apple juice.